What a wonderful thing to do! I love Hawaiian Falls and their philosophies. If someone in your family has special needs, please take note of this event! Hawaiian Falls water parks will host Champions Day for individuals with special needs Saturday, June 21, 2014. The “Champions” (special needs individuals of any age) get in free. Family members can purchase discounted tickets for $5 each (regular admission is $26.99) with a Champions Day coupon available for download at http://hfalls.com/championsday. 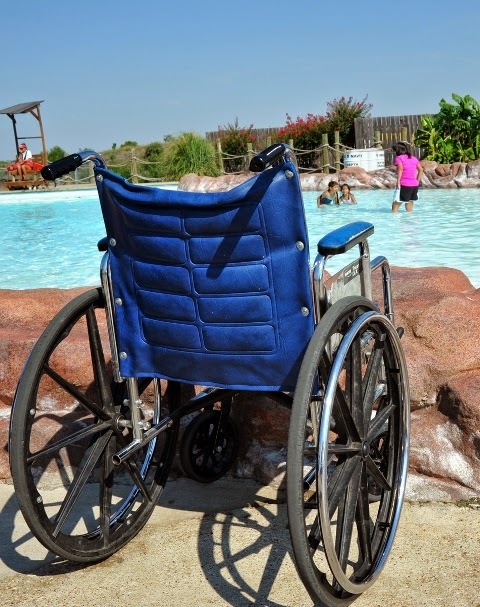 Special needs families will have exclusive access and use of the park from 8:30 to 10:30 a.m. Hawaiian Falls Pflugerville will open on this day to the public 10:30 a.m. and close at 7 p.m. The Champions and caregivers can stay all day at no extra charge. 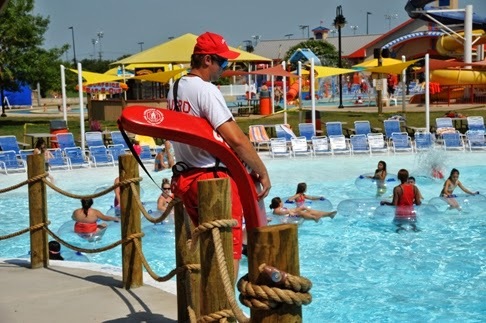 To be sensitive to the Champions’ special needs, Hawaiian Falls turns down the music, adds more staff to assist families, and asks lifeguards to be thoughtful about using their whistles only when absolutely necessary. Here is a fun new way to treat yourself to fresh fruit desserts! The Big Boss Swirlio takes frozen fruit and swirls it into a dessert. This sleek small kitchen appliance looks fabulous on the counter and is so simple to use. Just drop frozen fruit into the top bowl, turn it on, and the Swirlio squirts the dessert out of the bottom spout into your bowl. The Swirlio even comes with a big, full-color recipe booklet that will provide you instructions on how to make over 50 healthy recipes. You'll learn to make banana cream pie, dark chocolate salted caramel, and cherry cheesecake desserts. 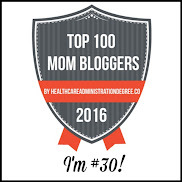 There are even recipes like frozen sangria and berry margarita! 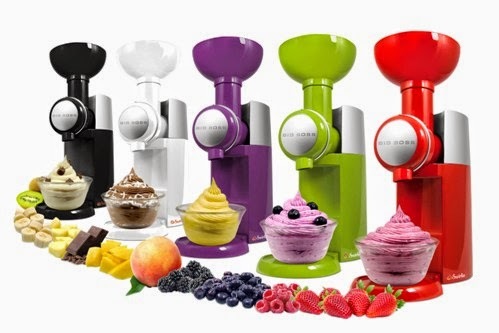 Best of all, you can simply use the Swirlio to create single-fruit desserts. I currently have an over-abundance of frozen blueberries, so I decided to create a blueberry sorbet. I let my blueberries thaw for 10 minutes, then dropped them into the top and flipped the Swirlio switch. My blueberry sorbet was delicious, refreshing and sugar-free. In reading the included handbook, adding some frozen banana will make it creamier and more like an ice-cream texture. I love being able to create something sweet and delicious in just minutes. It's a breeze to clean up and re-assemble too! The Big Boss Swirlio is a great way to get more fruits into your family's diet and a fun way to spend some time together. I can't wait to try some other recipes from their booklet and also create some of my own. I bet it's amazing with some yogurt added to it too! Get your favorite color Swirlio at www.buyswirlio.com for just $19.95 with FREE shipping! You can visit www.bigbosskitchen.com to check out more of their products to make your kitchen adventures fun and convenient. 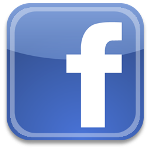 Be sure to follow them on Facebook and Pinterest too! If you're coming to Texas or if you're fortunate enough to already live here, be sure to stop at Dell Diamond in Round Rock, just north of Austin, for a fabulous game of baseball. The Round Rock Express played at home last night against the Sacramento Rivercats and we had a fabulous evening. Johnny and I decided long ago that "date night" would not end once we were married, so we are always on the lookout for affordable, unique places to go. A friend of mine gave us two tickets to the game at Dell Diamond and even treated us for the parking fee. We purchased a large root beer to share and spent the evening watching the baseball game while the sun set over the park. Visiting a ballpark is always a good time and minor league baseball offers a much more personal experience than professional baseball. There are lots of interactive games starring fans picked from the stands, many chances to catch a stray flying baseball, and even free t-shirts that are shot into the crowds. Dell Diamond also has a swimming pool, playground, climbing wall, and more. We had an absolutely wonderful time and even got to see ourselves on the big screen. Although our team didn't win last night, our date night was a home run! Where was YOUR last date night? I recently attended a private event sponsored by Mia Wines. The event was held in a beautiful multi-million dollar home overlooking Ladybird Lake in Austin, Texas. The house was simply breathtaking, from the gorgeous views of downtown Austin from the backyard to all the amazing details in the home designed by architect Mark Ashby. The main event of course was the wine-tasting and being able to sit down to speak with Gloria Collell, the winemaker. 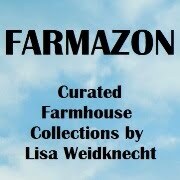 She featured five of the wines from her collection of young, fresh, easy-drinking wines. These wines are a reflection of the exuberance of her hometown, Barcelona. Gloria is a warm and wonderful person, and it was a joy to sit with her to talk about her inspiration for the Mia line. She grew up around wines and has spent the last 20 years working for Freixenet CEO, Pedro Ferrer. 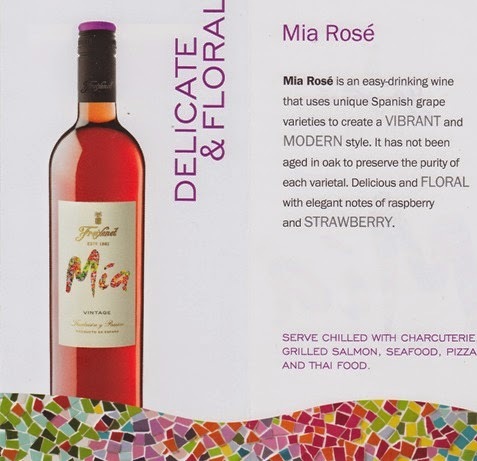 She approached him with her idea for Mia wines and was humbled when he decided to entrust her with the entire project. On a side note, "mia" means "mine." At Gloria's suggestion, I first tasted the Mia White, Mia Rose, and Mia Red. Each is spectacular and very unique. They are truly delicious. If I had to choose a favorite of the three, I would probably have to choose the Mia Rose but I hope to never have to choose. As the band played in the background, we were also served at least a dozen different kinds of appetizers that were created fresh in the kitchen of the home. My husband and I mingled with the other guests and admired the beautiful home both inside and out. The warmth of the late afternoon was setting in and we could see storm clouds forming over the dam to the west of Austin. It was a very relaxed, friendly setting for a wine tasting. I was rather amused when I realized I could see the rooftops of the apartments where I lived across the lake when I was attending the University of Texas. Dinner was also being served with Mia Wines and we even enjoyed a cooking demonstration in the backyard area. It smelled delicious and I was glad that dinner was coming since I'd had a few glasses of delicious Mia wine by that time. Gloria encouraged us to wait until it was time for dessert to try her bubbly sparkling wines, because she said they went fabulously with desserts. 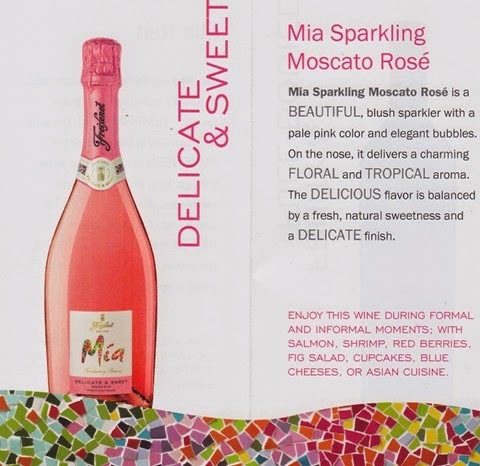 I was very anxious to try the Mia Sparkling Moscato and the Mia Sparkling Moscato Rose because I've always been partial to moscato. Gloria is such a great person and it was fascinating to hear of all her travels throughout her life and especially on this particular wine tour. Although she was only stopping for one night in the Austin area, she had quite a full itinerary across the nation to introduce Mia Wines. She sat with us at dinner and we had a lovely (and lively) conversation. As we dined on different dishes and the wines flowed, we chatted like friends. It was also fun to meet another Austin blogger and an Austin magazine writer, as well as the lovely PR rep Sarah Boynton, who invited me to the event. Dessert was no disappointment. We were served little chocolate mousse cups and little creme brulee cups. As we indulged, we watched the storm's incredible lightening show. The delicious Mia Sparkling Moscato and Mia Sparkling Moscato Rose wines were the perfect complement, just as Gloria said. 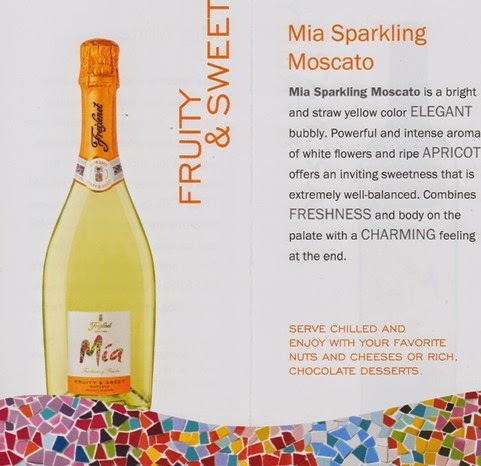 In the past, I've shied away from sparkling wines, but I am definitely going to stock up on Mia! 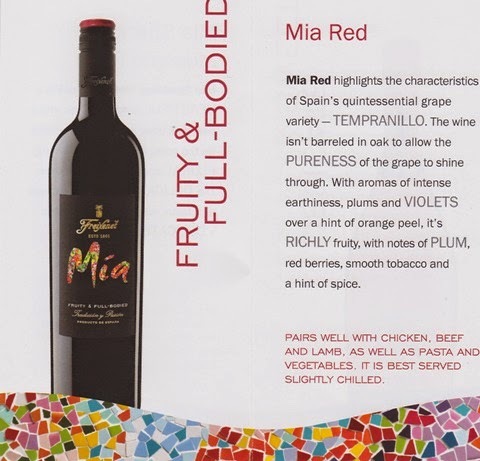 I highly recommend you try all of the Mia Wines! I've included some information below about the five different wines I tried at the Austin event, so you can decide which ones you want to try first. 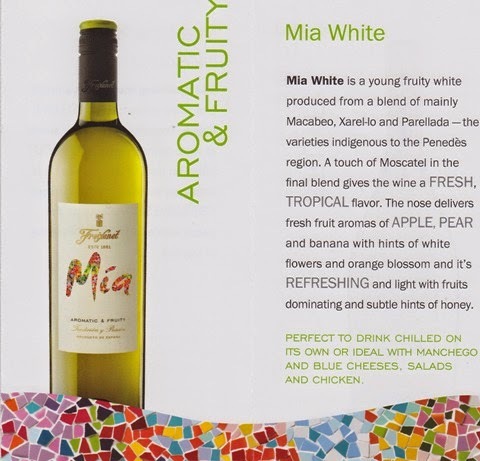 Be sure to check out her website at www.miawines.com. Everyone wants to keep their family as safe and protected as possible. That’s just common sense. But many do not realise their approach to doing so is not always the most effective. Sure a shotgun next to the bed goes a long way, but that’s not the norm. Instead, most families rely on home security systems to keep them and their possessions safe. Relying purely on any type of hardware or software requires an individual to have a lapse of judgment. There is no such thing as 100% perfection. However, having a security system is better than not having one; statistics say you are 300% less likely to be a victim of a break-in if you have a security system installed. How does a man get out of a room with four walls, a floor, a ceiling, and no door? He just walks through the doorway! All jokes aside, this is a very serious matter. Many families are assuming their safety is ensured simply because they have an alarm system installed. Their confidence in this system increases with the price and name brand popularity. However, the guarantee of protection does not. Why Are Home Alarm Systems Flawed? Again, this is one of those things where guarantees cannot be made because nothing is 100% flawless. An alarm system is installed with a set of parameters it follows in order to signify the need for an alarm of any sort. These parameters are defined, but the outside variables are not. For example, a home security system may sense when something or someone enters through a window but it likely doesn’t detect entry through the chimney. So when Santa makes his rounds and no alarm gets sounded off, you might start getting worried. Consider that your wake up call. So you want to protect your home, then you need to know what common flaws exist. These are flaws which are found in many different home security systems. Hopefully yours is not one of them. This is the most common flaw. As illustrated in the chimney scenario, most home security systems do not provide coverage for 100% of the home’s barriers and openings. Most affordable home security systems just cover the doors and main windows. While it’s unlikely an intruder will come in through your chimney, what about your basement windows? These are often neglected and an intruder could even smash then without a detectable sound if you’re sleeping all the way upstairs. The most obvious solution is to get a full coverage package when shopping for a security system. This will cover all windows and doors, as well as any other entry points for your home. Make sure to think about every possible entry point, even the less likely ones such as a balcony near a tree or a crawlspace. It’s common, especially on self-installed systems, for things to be improperly calibrated. This often leads to false alarms, which tends to lead to the system not being turned on as it’s viewed as being an annoyance. For example, an alarm system may be installed with an allowance for a couple feet on non-motion censored wiggle room. This is to allow for pets to enter into the home without tripping the alarm. As this is common knowledge, an intruder can use this to their advantage. Sound censors can also be out of whack and to prevent false alarms, they may be set so high that an intruder can carefully break glass without setting off the alarm. This is why it’s so important to get a professional to calibrate the system. It’s also important to specify the level of protection you want – as in, whether something of a pet-like stature can trigger the alarm. And whether something of a similar volume of hail hitting the window would trip the alarm as well. If you have a pet, you may want to find a pet-friendly security system. Many make the mistake of setting a poor password or not choosing one at all. Some passwords are common by default across all models of a particular brand of alarm system. An intruder could do a little research after scouting out the house and see if there’s a common pass code. They could also try some common possibilities, such as 1-2-3-4 and 0-0-0-0. Alternatively, an intruder could do a little test to see which numbers are pressed the most. They can then determine what the most likely possibilities are with those four numbers. As many do not press any numbers besides the ones in the actual code, this is very easy to do. There are even break-in kits sold which assist with this process. The obvious solution is to choose a complex password. While a password can only get so complex, it’s more so a matter of choosing the less obvious possibilities. So think about what the intruder would guess after each failed guess. Chances are after 1-2-3-4 and 0-0-0-0, the next guess isn’t going to be 1-7-9-3. It’s also a good idea to wear out all the number buttons a bit so it’s not obvious as to which buttons you typically press. A standard home security system is often not enough. So you can go the extra mile by furthering your protection. A very effective way of doing this involves getting an electronic door viewer installed. Many locksmith companies offer this service, just check on their website. For example, metrolocks.co.uk notes in their Care Situations page that they both supply and install electronic door viewers. Of course, this particular company is only suitable for you if they operate in your area. However, the ability to view who is at your front door at all times is very beneficial. This is especially true if there is a motion detector built into the system. This is different than the motion detector on your home security system. The door viewer will actually pick up a video feed whenever anyone approaches your front door. So instead of finding out about the intruder when they’re breaking in, you can catch them in the act of casing out your home. I often purchase large packages of chicken because it saves me money. I will cook a bunch of it at one time, then create recipes to use it in a variety of ways. Now that the warm weather has arrived, I crave the taste of barbecue. This Barbecue Chicken Pasta recipe is created in the kitchen so it's wonderful even on those rainy summer days. 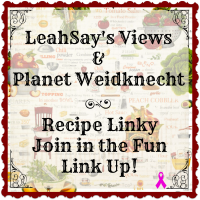 This meal turned out fabulous and we'll definitely be making it again! In a large saucepan, bring water to a boil, and cook egg noodles until soft. Cut cooked chicken into bite-sized pieces. When noodles are done, drain water, then add chicken, olives, and barbecue sauce to the noodles. Stir well, cover the saucepan, and simmer on low heat for 30 minutes, stirring occasionally. Easy and delicious! Studies show that many of us in first world countries are struggling with health deficiencies. Our lives have become so busy that we often give into the convenience of processed foods for ease of preparation. While we're out taxiing our children around and working at jobs, it seems much easier to pop into a fast-food restaurant to fill our bellies. In reality, you will feel more prepared for your daily chaos if you are eating well. Choosing fresh foods that are easily portable, such as fruits, raw vegetables, whole grain crackers, nuts and seeds, will actually keep you fuller longer and be much better for your overall health. These foods are also easily portable and can be stored in your handbag, desk drawer, or a small container in the car. Having these foods on hand when you have children can also enable them maintain better attitudes and behaviors. Taking just a moment in the morning to ingest a supplement like Bio-Fiber from Pharma Nord may help to maintain healthy digestive and cardiovascular systems, and a healthy glucose balance. Made from vegetable sources, it helps to compensate for the reduced levels of dietary fiber in the modern diet. By focusing on putting good things into your body daily, you will feel better and look better. For some reason, the word exercise has become negative for many people. Exercising doesn't have to mean two hours of excruciating workouts at the local gym. On the other hand, many of us sit all day long in front of a desk or in the car. Sitting for long periods of time breaks down the muscles in our body core, causing all kinds of problems from back problems to digestive issues. Taking a daily 30-minute walk around the neighborhood with your children or your dog can do a world of good for you. Not only does it work your body in a low-impact fashion, the fresh air strengthens your lungs and helps to clear your head. Don't let excuses get in your way. If it's too cold to walk, bundle up and go anyway. If it's raining, grab an umbrella and go anyway. If you're tired, a walk will actually energize you by stimulating your metabolism. If your body is aching, consider a supplement like Bio-Glucosamine Super. Glucosamine is a naturally-occurring substance for the maintenance and repair of joint cartilage. Supplements are the best source of additional glucosamine which is not found in food. Exercise will boost your mood, your energy, and your health. Just thirty minutes a day of quiet solitude does wonders for busy adults, but finding even ten minutes for it can be a challenge. Making time for slowing down from the constant noise and activity should be a priority. A healthier parent is better able to confront the daily challenges of a busy lifestyle. Busy moms can enlist the help of a spouse or a friend to watch the kids so you can sneak off for a relaxing bath or a cup of tea on the back porch. If you have older children, set apart some time daily for "mom's quiet time" when no one is allowed to interrupt. When we fail to take time for ourselves, our immune systems can begin to break down and become more susceptible to illnesses and environmental hazards. Additionally, by taking a daily Bio-Multi Vitamin and Mineral that contains antioxidants, parents can help protect their body tissues against the damaging effects of free radicals, toxins produced within the body, or by exposure to chemicals, pesticides, alcohol, and cigarette smoke. A yearly check-up at your doctor's office is recommended, but taking care of your health is really your own responsibility. 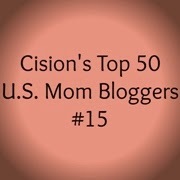 Stay abreast of new research and read articles regularly about healthy lifestyles. The more you expose yourself to this kind of information, the easier it will be to adopt the ideals into your own life. We are so bombarded with advertisements about easy-to-prepare processed foods and fast-food convenience, that we need to take steps ourselves to balance out those messages with information about how to live a healthier life. Remember too that your children are more likely to do what they see you do, rather than what you tell them to do, so setting a good example is the best way to set them up for success. Being a writer can be an extraordinary thing because it allows you to express yourself and make an impact upon others through the use of your words. Whether you choose to write news stories that expose important facts to the public, poetry that people can relate to on an emotional level, or fiction that allows readers to escape to a new world, if writing is your gift, use it to its fullest potential. But sometimes being a writer can be extremely challenging, especially when you're stuck for ideas on what to write about or you feel uninspired. To keep the creative juices flowing, you need to take steps as a writer so that you never run out of ideas and you always have something put down on paper. Continue reading for a few tips that will help you find inspiration that won't only keep your writing fresh, but also prevent dreaded writer's block. Travelling is a perfect way to see new places, experience new things, and meet new people. When you get out there and explore, you're able to enrich your own personal experience but also use those experiences to improve your writing. On the other hand, if you're constantly stuck indoors and you don't get out into the world to experience new things and talk to different people while taking in the many cultures from around the world, you'll only have the same things to say and your writing will become boring in no time. You don't have to spend a lot of money to travel, either. Take a day trip with friends so you can hike up a mountain or go skiing in the winter. Spend some time alone on the beach, listening to the waves lapping onto the shore. Let your mind wander as you trek through a forest and listen to the birds as the sun shines down. When you get back home, you may be surprised by all of the amazing ideas that suddenly spring to mind and are aching to be recorded in the form of a poem, an article, or a new part of the book you've been working on. When you do get the opportunity to travel abroad, definitely take it. Again, there are so many amazing people and cultures to take in. Let them influence you, teach you, and inspire you. And it doesn't matter where you travel to or how long you stay away. In fact, many writers prefer to purchase vacation homes so they always have a place to stay in their favourite destination when necessary. For example, searching for affordable property Grand Cayman will allow you to stay in the Caribbean and slow the pace a bit. Or you can shop for an apartment in Paris or Rome so that you always have a place in Europe to return to when you need to get away from it all and generate new ideas. In addition to vacationing in other parts of the world, you may even choose to move away permanently. Of course, this will depend upon many factors, including your relationships, your job, and your ability to uproot yourself and start completely fresh someplace else. 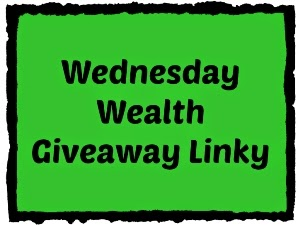 But this could be the perfect opportunity to use a company like Dream Finders to find your ideal home and start with a clean slate. When you move to a new place, you can test your limits, take stock of your own strengths and weaknesses, and meet new people who influence you. All of these experiences aren't only great teachers but also serve as great inspiration for whatever it is that you write. But, again, if this is a bit too much for you right now, you can always take some much-needed time away by travelling alone or with friends and family to your favourite places on the globe. Reading books is an important part of being a writer. Whether you prefer fiction or non-fiction doesn't matter. The key is simply that you read. After all, if you don't read, you won't be inspired by someone else's writing and you may not find anyone else you wish to emulate in order to develop your own writing skills and create your own voice. Even just reading the newspaper is important if you're a writer. How does the news make you feel? Does it inspire you to write a story, fiction or otherwise, that will be relevant to today's society? Or does it make you angry or sad to the point that you want to write an editorial piece and put your emotions down on paper? Finding inspiration to keep your writing fresh and unique is a difficult, never-ending process for many writers. But it can be easier if you just open yourself up to new experiences, new scenery, and the writing of others. When the loyalist cause enlists the mountain house into a weaponry, apprentice Fia is confronted with three refugee children, a disturbingly upstart former messenger, and accidents happening everywhere. Are saboteurs out to nix the weapons works... or is it the incognito crown prince they're after? Traitor's Knife continues where Jeweler's Apprentice ended, and nearly seventeen year old Fia Brithin from the foothills still has a lot to learn about the mountains, and the people now in them. 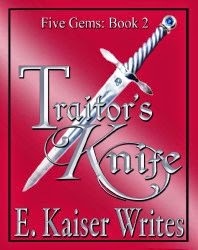 Traitor's Knife by E. Kaiser Writes is the second book in the Five Gems series for teens and young adults. It follows the book Jeweler's Apprentice. This fantasy novel features Fia as the main character and she is an apprentice who must draw on her bravery throughout the story. Her brothers and sisters are also part of the tale, several playing large roles, from courageous warriors to quiet healers. Readers will also encounter a prince, princess, and a traitor. The author's writing is engaging and flows well. I enjoyed the story and think it's a great read for young adults. It's exciting but not scary. As in any series, I would recommend reading book one first. Throw out your iron! I learned long ago not to even purchase clothes that had to be ironed, but somehow I always end up with a couple of clothing items that wrinkle when they come out of the dryer. I don't wear those clothes very often because I hate to iron. The clothes that wrinkle the worst are my cotton shorts and button-up blouses. I just tried Downy Wrinkle Releaser Plus and it's really easy to use. I just sprayed it on my clothes, gave them a tug to loosen the wrinkles and then smoothed them flat. As my clothes dried, the wrinkles disappeared. It's wonderful! The new and improved sprayer delivers broader coverage to reduce drying time. Downy Wrinkle Release Plus works to eliminate wrinkles by coating fabric fibers with silicone that allows them to relax and slide apart instead of being frozen in a crease. Here is the tshirt that was included with my Downy Wrinkle Releaser Plus samples. As you can see (above) it's incredibly wrinkled from the top to the bottom. The after picture (below) is the shirt after using Downy Wrinkle Releaser Plus. It's a huge difference and I'm so excited that I'm going to be able to wear my favorite cotton shorts and button-up blouses without ironing! I definitely recommend Downy Wrinkle Releaser Plus! In addition to its ability to reduce wrinkles in clothes, Downy Wrinkle Releaser Plus can be used as a quick-fix solution to remove creases from pillowcases, bed sheets, drapery, tablecloths, cloth napkins, ribbons on holiday decorations, and many other household items. A quick spritz can also remove odors and freshen up furniture, pet beds, and infant car seats just to name a few. For those who still want to iron, it serves as a better ironing aid than water without the residue of starch. And in a fashion emergency, Downy Wrinkle Release Plus can even save the day by eliminating static cling. Downy Wrinkle Releaser Plus is sold at Walmart, Target, Walgreens, Kroger, Publix and many other grocery, drug, and mass retailers. Downy Wrinkle Releaser Plus is sold in a 1-liter bottle for $6.99 and a 500 mL bottle for $4.19. It is also available in a travel-friendly 3-ounce size for $1.99. For more information visit www.downywrinklereleaserplus.com. You need to try this WonderBottle!